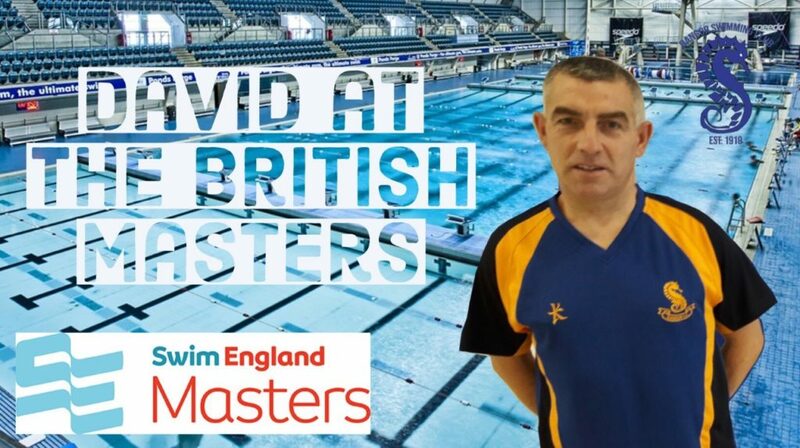 Bangor Amateur Swimming Club’s David Bell, a masters swimmer in the 45 – 49 age group, recently swam in the GB National Masters Swimming Championships 2018 in Sheffield. Held over three days at Ponds Forge, one of the UK’s best competition pools, the Nationals are swum in Short Course format (25m) and qualifying times are set for this competition to keep the standard high. Friday was David’s toughest day with three races, one in each session. Starting with the 1500m Freestyle, David swam an amazing 30 second PB (Personal Best) and finished in 6th. This long distance event is a race of stamina where you must save something for a fast finish but start the race too fast and you’ll pay the price later! 100m Backstroke was next with another PB and 5th place finish. Last up for day one was David’s favourite race, the gruelling 200m Butterfly, and he came home with a 5 second PB and ended up in 5th. He was over the moon with his results from day one. Saturday started with the 400m Freestyle where David finished in 8th and another PB. The next session held the 100m Butterfly which he again set a new PB and came 11th. Session 6 saw David competing in two races. In the 50m Butterfly, he finished 18th, unfortunately missing another PB by 0.07 of a second. The last race of the day was the 4 x 200m Men’s Freestyle relay in the 200+ year group where the four swimmers’ ages must exceed 200. The pressure was on David as he was the last leg swimmer with the honour of bring the relay home. Entering the water in 5th place and about 30m down, he managed to battle back and take 4th but unfortunately 3rd place was just beyond his reach. Sunday, the final day of the competition, featured just two races but both were long events. First up was the 400m Individual Medley, 100m of each stroke in the following order: Butterfly – Backstroke – Breaststroke – Freestyle. This is a great event where the lead changes throughout the race as each swimmer has his or her own specialised strokes. David swam a sensible race and paced it well, finishing in 7th with a 16 second PB and ducking under six minutes for the first time in his life. To say that he was happy would be an understatement! The final race was the 800m Freestyle and by this stage David was starting to feel the effects of all the hard racing but he managed to hold it together to finish 6th with one last PB. David was pleased with the results from his events at the British Nationals and that all his training had paid off. Early morning training, gym and dieting is so much easier when you get the results you hoped for. David would like to thank his coaches Paul, Steven and Jim for all their coaching and encouragement. He’d also like to thank his fellow swimmers and all in the club for their support. David is looking forward to a week off training to recover before starting to train for the next Masters competition in 2019.